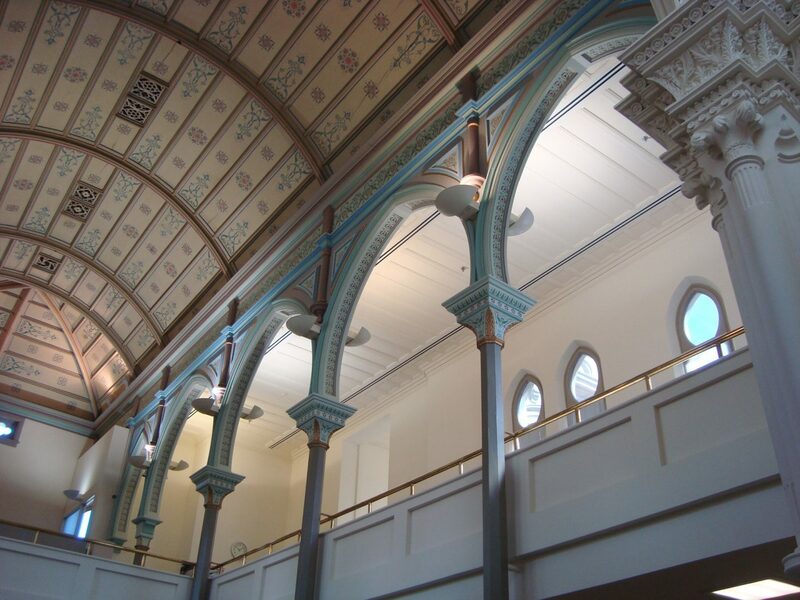 Bartley employed a variety of eastern motifs on the exterior while the interior included an impressive wood-panelled ceiling, Arabic arches, a stained glass dome and superb plasterwork. 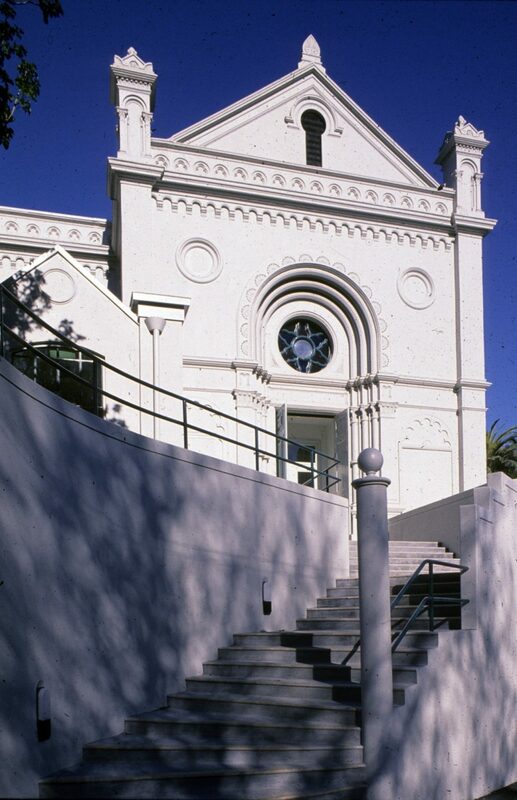 The synagogue remained a focus of Jewish community life for some 84 years before the erection of the newer synagogue in Grey’s Avenue in 1968 brought that phase of its use to an end. 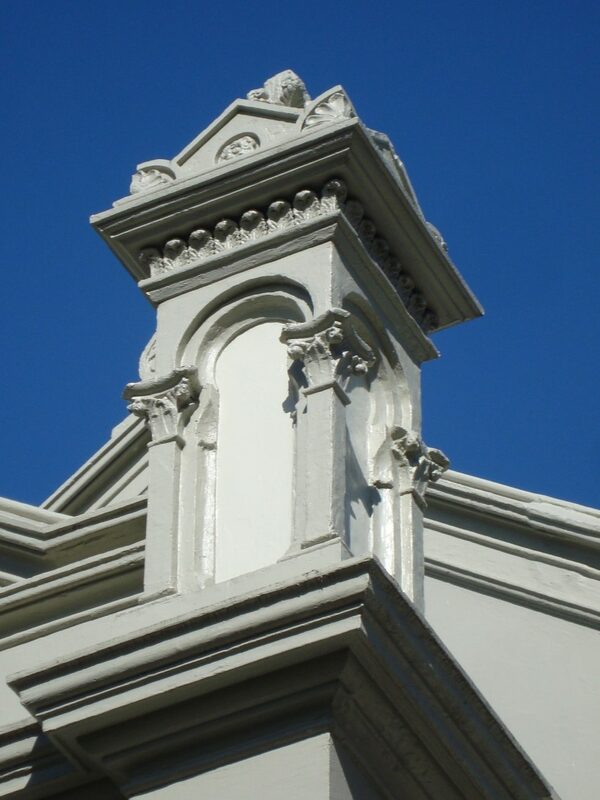 The building was then deconsecrated and ownership reverted to the Auckland City Council as part of the Albert Park Reserve. Salmond Architects were engaged to prepare a Conservation Plan for the site and the building and then to oversee the heritage aspects of the refit which, as well as developing the spaces for office use, also involved some additions, an new entrance way and the installation of a strong-room in the basement. 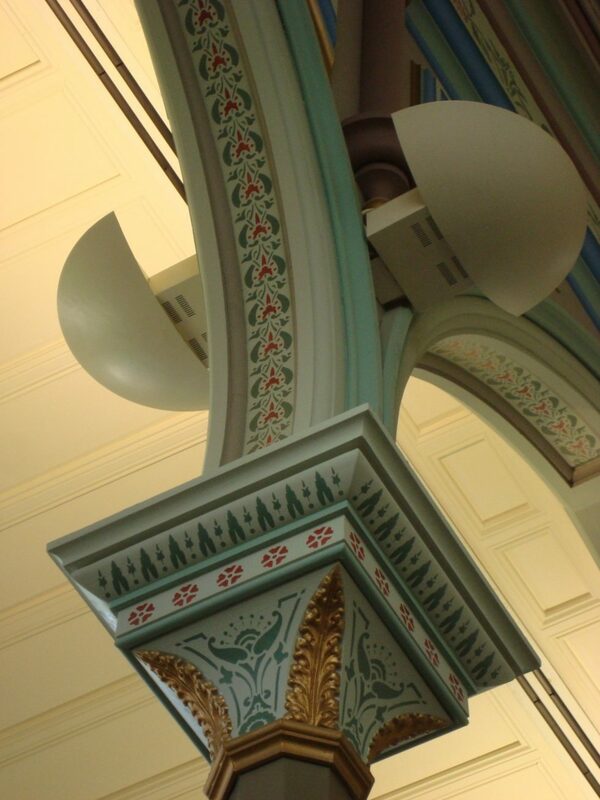 Salmond Architects’ role was to ensure that the heritage fabric of the building was protected and that the conversion to office space succeeded in reconciling the commercial requirements of the tenant with the genuine desire to conserve one of Auckland’s significant landmark buildings. The Pompallier printery, tannery and book bindery is the last remaining building of others in the compound constructed by the founding French Catholic Mission for the entire western Pacific and is also the oldest surviving industrial building in New Zealand.